Reason number one: Plans are often a work of fiction. The only thing teachers dread more than a broken copier is sitting down for three hours on a Sunday night to write pages and pages of detailed lesson plans. Many teachers question who they are writing the lesson plans for. They often see the task as a waste of limited time, which begs the question: Could it be done differently? More efficiently? 1. Plans are often a work of fiction. Administrators often look at a teacher’s lesson plans to justify their evaluation of a teacher. 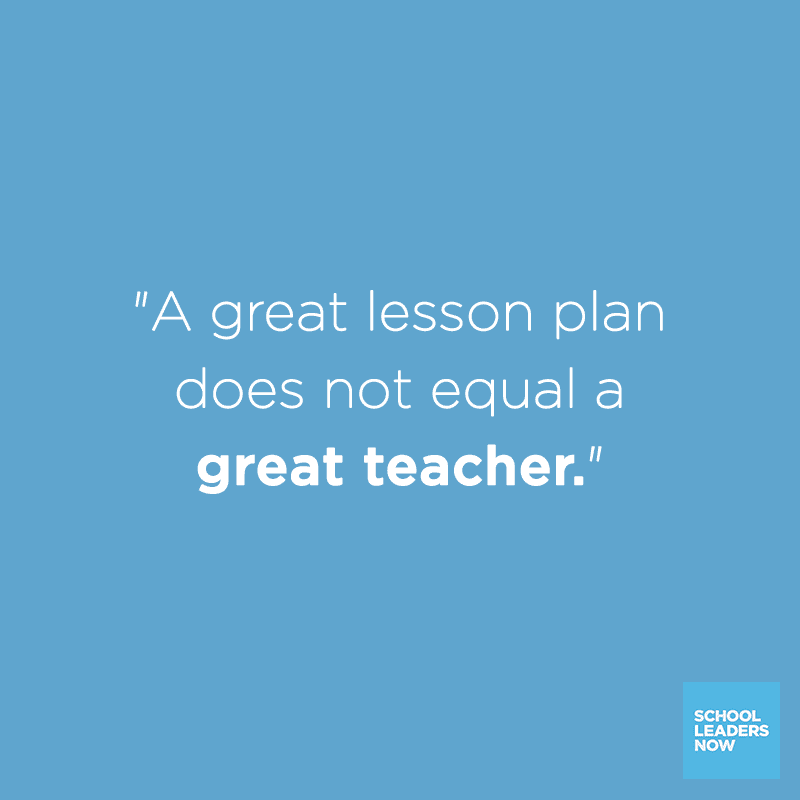 A great lesson plan does not equal a great teacher. In fact, the majority of what is written is to please the school leader. Is it really a shock that teachers do not always follow the plan if the goal is to meet requirements and follow directives? Would it not be more helpful to the teacher to allow notes to be jotted down on a smartphone or in a notebook to provide a realistic framework to guide instruction? 2. Student learning cannot be defined in a lesson plan. If teachers have their students’ learning and needs in mind, then a lesson might not be completed as indicated in the plan. It may go longer or have to be carried over to the next day in order to meet the academic and social needs of the students. Student learning cannot be quantified in a neat box and time slot. Many administrators collect lesson plans one week in advance. This does not allow for course correction when a lesson or topic isn’t going well. The only real way for school leaders to know if learning is occurring is to watch the teaching and learning actually occurring. 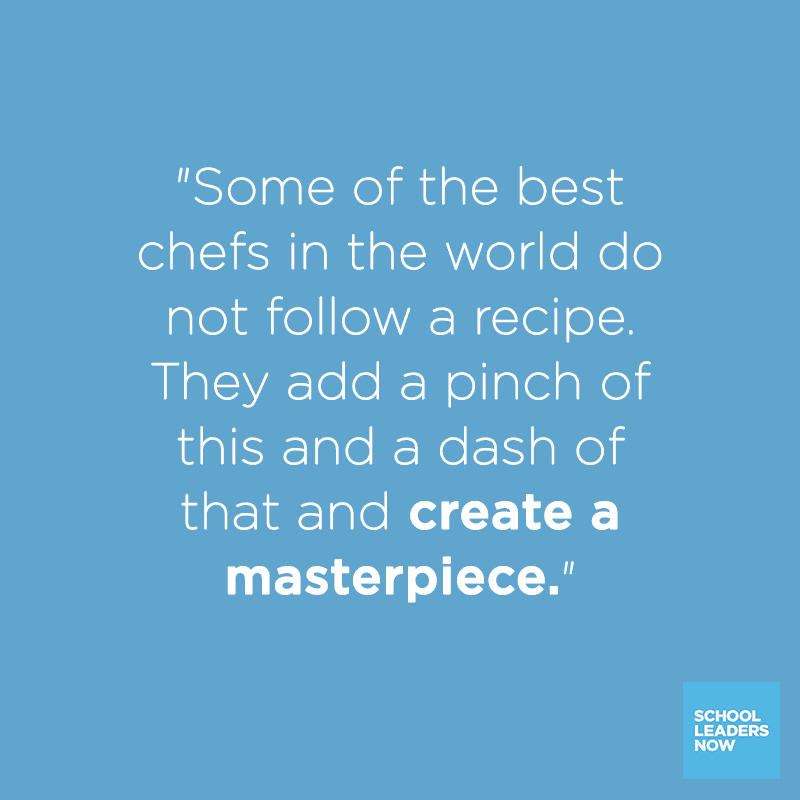 Some of the best chefs in the world do not follow a recipe. They add a pinch of this and a dash of that and create a masterpiece. Others choose to follow the plan step by step. Both are still professionals. New and struggling teachers benefit from having a more detailed plan, while seasoned teachers often do not need any written plans at all. Their time is better spent collecting lesson materials and resources and organizing everything for the week. The lesson plan debate has been ongoing. In 2014 an arbitrator in New York ruled that principals may occasionally collect the lesson plans of teachers but may not decide what to include in them. Ellen Gallin Procida, the UFT’s director of arbitration, said school administrators’ focus needs to be on the teaching of the lessons, not the lesson plans themselves. The plans should be for the sole benefit of the teacher. Teachers’ plans should be as unique and individual as each teacher. 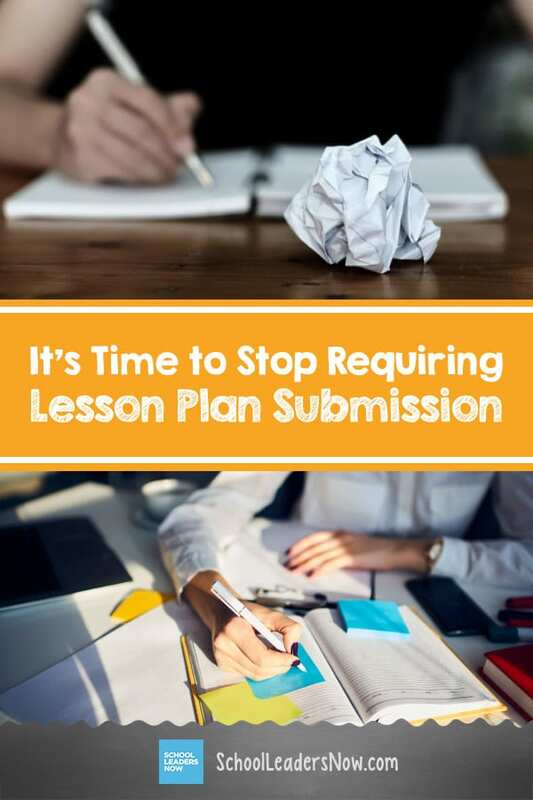 Requiring lesson plan submission in a specific format and style is taking away teacher autonomy and voice. Teachers view this as a lack of respect and trust. Requiring detailed plans for submission is a form of micromanagement, and it hurts the overall school culture. 5. Who has time for that? Often administrators do not have time to even read the lesson plans that they require. Besides, walking through classes daily would give school leaders a better sense of a teacher’s effective planning. We now have purchased instructional programs that include detailed lesson plans. Isn’t it a complete waste of time to have teachers rewrite this information? 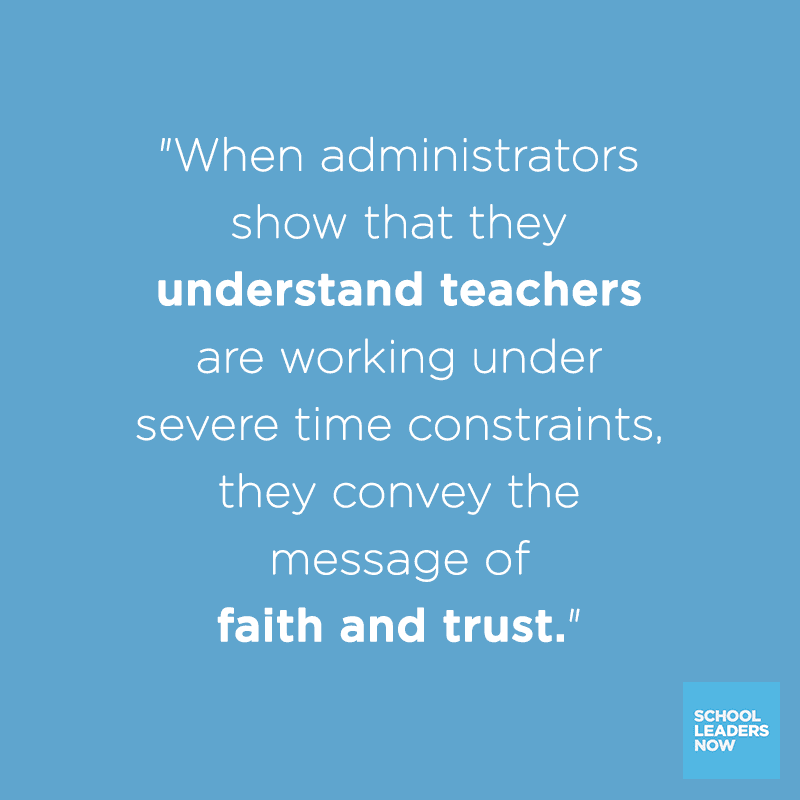 When administrators show that they understand teachers are working under severe time constraints, they convey the message of faith and trust. 6. Teacher retention is important. At a moment in time when teachers are leaving the profession in droves, the freedom to plan in the manner that they see fit, in order to meet the needs of the students, whom they know better than anyone else, goes a long way. School leaders play a crucial role in the retention of quality teachers. Mutual trust and respect create a school culture that inspires contentment, growth, and positivity. 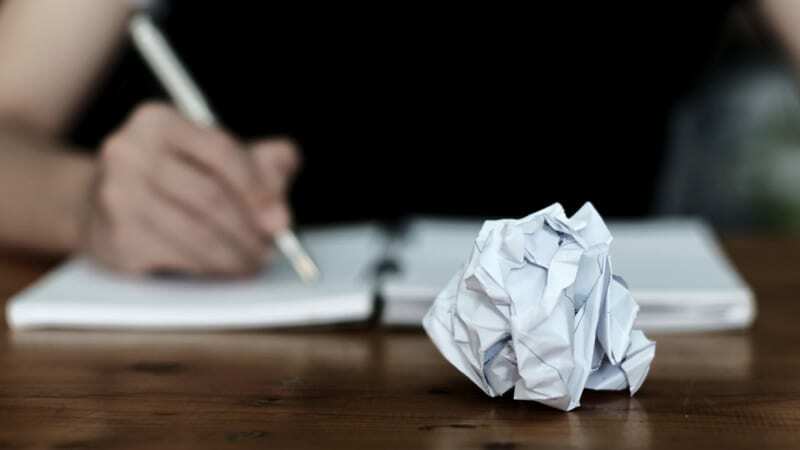 Ending lesson plan submission is a step in the right direction. Plus, How to Move Toward Student-Centered Classrooms.